Many companies and firms are now developing software in Bangladesh and software is one of the technological inventions that have helped companies and various individuals in so many ways. It refers to a specific or a group of computer instructions. These computer instructions can either be machine instruction that is formed in a binary code and can only be understood by a processor or a source code whose instructions can only be understood by humans. To improve this invention and to help various individuals, the service software development was formed. Software development in Bangladesh is an essential thing because it makes business’ marketing responsibilities easier to fulfill. In other terms, software development is used and done in order to provide growth and value to the requirement of the user. In order to help in achieving marketing goals, these needs and requirements of the user is converted into software and some time into mobile application. Software design enables the user to carry out the tasks that they want to do. If the software will continually be improved, the more the marketing trends will be developed. In the end, it will help business people in Bangladesh or other countries improving their business. Since businesses are continually being diversified locally and globally, it is just expected that software will also be developed in order to level and provide the exact needs of those companies or firms. If you are planning to hire a software development company in Bangladesh, you will see a lot of websites that are offering that kind of service. Due to hundreds of software and web desgin Company in Dhaka or Chittagong, it is just right that factors will be considered in order for you to get the best company that can provide you with the software that can help your business in Bangladesh. One of the things that you should consider is if the company already has a diverse and rich experience in the field. That means that you have to examine their entire software portfolio and take a look with all the company’s past work in Bangladesh as well as abroad. You also have to take a look at their credentials, to be exact, the company’s authenticity and reliability, and you also have to check the company’s goals and their reputation. You must be guaranteed that the company will be able to provide you the long-term and excellent working relationships. The Bangladeshi software development company that you will choose must be flexible in terms of all the changes in every project in order for the business to succeed. Hiring a software company in Bangladesh entails sharing some of the important information about your company and yourself. So you must choose a company that will apply proper security with all the information that you have given. As mentioned, if you are planning to hire a software development, you must search software firm in Bangladesh and you will be given a lot of result lists. One of them would be BengalSols.com. 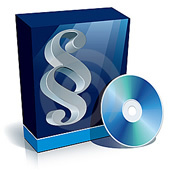 BengalSols will provide you with excellent, affordable software development services. We are an old and experienced and professional software company in Bangladesh who are also providing offshore software development services. We are also one of the certified Bangladeshi software developers. With this company, you will now be able to improve, translate and upgrade your desktop or web based software. So, if you are planning to develop software and want to outsource to Bangladesh then just don’t hesitate to choose as your Bangladeshi offshore partner. We offer full cycle custom software programming services, from product idea, offshore software development to outsourcing support and enhancement. 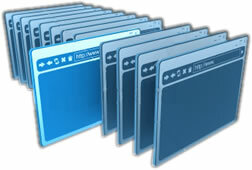 Bengal Solutions Ltd. employs a large pool of software engineers coming from different backgrounds. We are able to balance product development efforts and project duration to your business needs. Over the years we have managed to build a solid team of software outsourcing professionals that come from various backgrounds and expand the creative potential of the company. The expertise that they posses embraces a wide range of custom programming skills involving the latest and most effective development technologies, such as .NET (ASP.NET, C#, VB.NET), XML and many more. This to a great extent defines the quality and reliability of the custom software & mobile applications that we develop. Our teams have successfully adopted Agile software development methodology and use it at work selectively depending on the project scope and customer’s requirements. Agile proved to be a cost-wise and efficient methodology for software projects that are vulnerable to emergent changes. Agile is a set of values and principles that focus on delivery of working software every iteration in short periods of time. Each iteration is regarded as an entire software project, including planning, requirements analysis, design, coding, testing, and documentation. Improvement or addition of new functionality takes place within next iteration. Agile methods emphasize face-to-face communication over written documents. Our Agile team members are located in the same office, which promotes prompt knowledge sharing and better understanding of urgent issues. Each team may include programmers product managers, business analysts, QA members, interaction designers, technical writers, and other specialists as per project scope.